Based in Strabane, County Tyrone Glen Fresh Foods Ltd was founded in 2000 and has grown from a small family run firm into a major regional supplier and distributor of fresh fruit and vegetables. We specialise in loose, packed and prepared produce supplying to a range of clients, from national retail chains to schools, hospitals, residential homes, independent greengrocers, restaurants, hotels and leisure outlets. Throughout its growth, Glen Fresh Foods Ltd have invested in technology and product development. This, combined with excellent customer service built upon all that is good about a family firm, means that Glen Fresh Foods Ltd lives up to its reputation - 'a fresh approach to quality and service'. 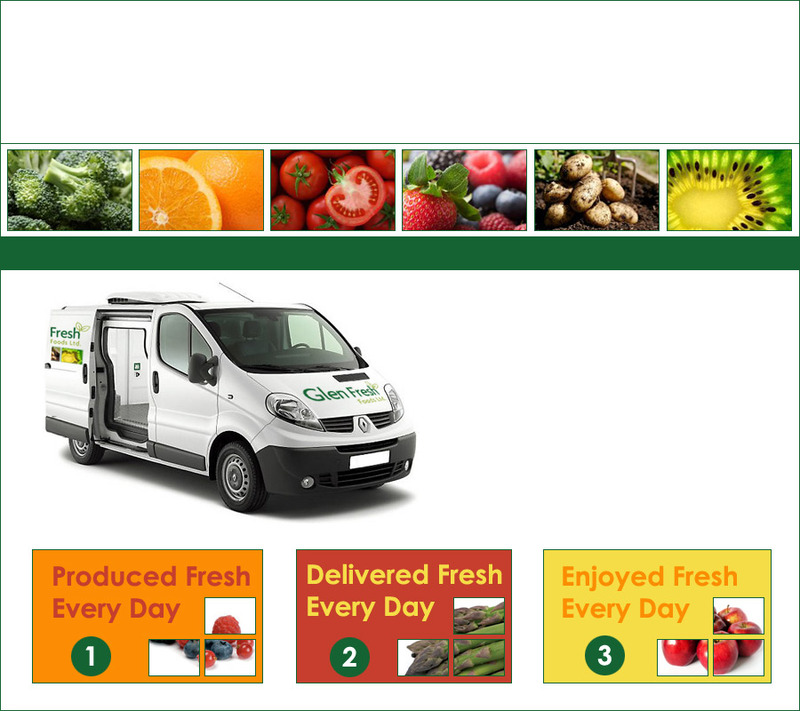 The team at Glen Fresh Foods Ltd believe that the secret to success is the quality of the fruit and vegetables we market. And with the use of a stringent stock control system we are able to make available a wider choice of fresh produce.